With this purchase, UCF will gain access and perpetual rights to all of the journal content in these four subject collections, starting with the first volume and issue of each journal continuing through 1996. The collection consists of over 400 titles. The UCF Libraries subscribes to the current journals from Taylor & Francis (T&F), providing access to 1533 journals, with access from 1997 to present, in most cases. The current journals are well used, with 109,339 T&F articles accessed by UCF in 2013 alone. UCF does not have access to T&F journals prior to 1997, however there is demonstrated demand. Students, researchers, and faculty attempted to access 3,644 articles from the T&F archive in 2013 up from 2,804 in 2012. Taylor & Francis is one of the world’s leading academic publishers. They publish more than 1,700 scholarly, peer-reviewed journals. Their content is well respected and 76 of their titles rank in the top 10 for their subject categories in Journal Citation Reports (JCR). The UCF Libraries continues to pursue complete perpetual rights from major academic publishers to meet current needs of its users and to ensure access to the content over the long term. These Taylor & Francis Archive Collections, with strong science and humanities content, will complement the Complete Springer Archives and the Sage Deep Backfile, purchased with Technology Fee funding in 2010 and 2011. UCF has an opportunity to purchase the Taylor & Francis Archive Collections at a reduced cost of $213,040. Purchased individually, the four collections would cost $266,300. The collection is of potential benefit to the entire UCF community, including the current 59,770 students and 1,834 teaching faculty. Articles can be accessed by an unlimited number of simultaneous users. The content aligns with UCF’s course offerings and should be of interest to many programs with special emphasis in the broad disciplines of social science and humanities including psychology and education, as well as the sciences such as engineering, computer science, and chemistry. These are major UCF programs with approximately 21,545 enrolled students. See Table 1 below for details on each T&F collection, including the number of titles and volumes, and the UCF programs served by the collections, including the enrollment. While content from these collections directly impacts 21,545 students, it is likely that students in other programs will also find relevant articles in this vast collection. Since the UCF community will gain perpetual rights, content from the archive will meet the study, instructional, and research needs of the UCF community into the future. The Taylor & Francis Archive Collections are delivered online and available 24×7. They would be accessible to all students, whether on campus or off-campus via EZproxy. The journals and articles in the Collections will be easy to discover through OneSearch, the library catalog, Research Guides, subject databases (such as EBSCOhost and ProQuest), internet search sites (such as Google or Google Scholar), and other discovery tools. The articles are in PDF format and are easily printed, e-mailed, or downloaded to read on a mobile device, laptop, or computer. The Taylor & Francis Archives provide scholarly journals that are relevant and appropriate to university student course work and faculty research. The content will directly support student learning by providing material for course papers, projects, and study. The articles can be assigned as readings, placed into online courses, and discovered during literature reviews. Table 2: Representative journal titles and earliest years available in Taylor & Francis Archive Collections. The UCF Libraries will promote awareness of the Collections by outreach to faculty and through library instruction for students. The library will collaborate with faculty groups, such as the Faculty Center for Teaching and Learning, to publicize the backfile collection, especially for online readings in Webcourses, Canvas, and e-reserves. Promotional materials will be distributed in newsletters, library blogs, exhibits, and events such as Cram for Exam and the faculty development conferences. One important aspect regarding the purchase of journal backfiles is that UCF students and faculty will have easy access to content that is in demand and not currently available to the UCF community. It is important to note again that UCF students and faculty attempted to access 3,644 articles from the Taylor & Francis Archives in 2013 alone. This is a key statistic related to the technology fee proposal. In these cases the user is denied access and the library is not able to determine what the final outcome is for these users. Some will seek other resources, many of lesser quality, while others become frustrated and may be reluctant to pursue library content in the future. 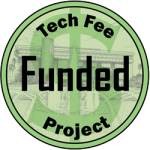 The UCF Libraries is committed to providing the best user services possible and, as such, has followed a plan over the past few years to incorporate technology fee funding into the overall collection development strategy. Previous technology fee awards have been used to purchase similar archive collections from both Springer and Sage Publications. The purchase of these journal archives will further enhance the library’s ability to address user needs to provide much needed benefit to students and faculty. The UCF Libraries will measure the success of Taylor & Francis Archive Collections through usage reports and satisfaction surveys. COUNTER reports (an industry standard for online usage statistics) tracks which titles are used and the number of articles downloaded. There is strong evidence that the content from these collections will be heavily used across several disciplines by students and faculty. Collections similar to the Taylor & Francis Archive Collections have shown steady usage and growth in number of accessions and downloads as word spreads about the benefits to students and researchers. It is expected that usage will increase by 10% to 20% per year in the first three years. The UCF Libraries will work closely with Dr. Melody Bowden at the Faculty Center for Teaching and Learning in an effort to make faculty aware of the new collection. Subject librarians in the various disciplines will work with faculty directly and provide information through regular newsletters. Students will be made aware of this collection through various marketing opportunities. Taylor & Francis has agreed to provide UCF, at no cost, with marketing materials to help promote the new content. The company will also provide free in-person training for librarians and interested faculty. The requested funds will cover the entire cost of the Taylor & Francis Archive Collections. As Taylor & Francis adds journals to the Archives over time, UCF Libraries will negotiate to keep the collection updated and to provide access to any newly acquired journals. The Archive Collections are hosted by T&F, so there will be no new demands on UCF staff. The Taylor & Francis Archive Collections will be purchased for a one-time fee of $213,040, securing unlimited, simultaneous access and perpetual rights to the archive. The request is for $208,040 in technology fee funding ($213,040 less $5,000 library cost share). The list price for this collection is $266,300 and the first negotiated offer from Taylor & Francis was $220,540. Based on existing business with UCF and the excitement generated by the UCF Technology Fee process, a final price of $213,040 was negotiated. Purchasing the Archive is a cost-savings approach to supporting the research and educational mission of UCF. Taylor & Francis provides an option to purchase articles on a pay-per-view basis with prices per article ranging from $36.00 to $43.00 (averaging $39.50). UCF students tried to access 3,644 archive articles during 2013 that were not yet owned by the Libraries. If UCF had paid $39.50 for each of those articles, the total cost would have been $143,938 in just one year. The offered price represents a discount of 20% off the list price of $266,300 and charges no maintenance fees. There is no per unit cost. The annual price per journal title averages $527.33, and the price per page is $0.06.